Contents up to februari 2007. 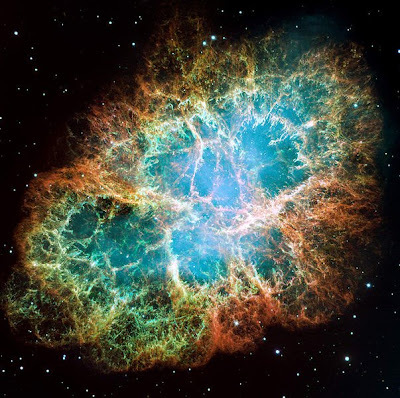 Second Law violation: or entropy decrease in a former Comet. 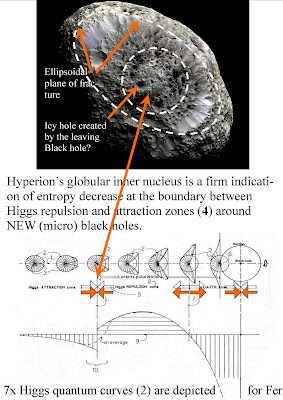 Hyperion seems to be a former Comet which is abandoned by its former NEW Black hole nucleus. Mira is also a black hole? 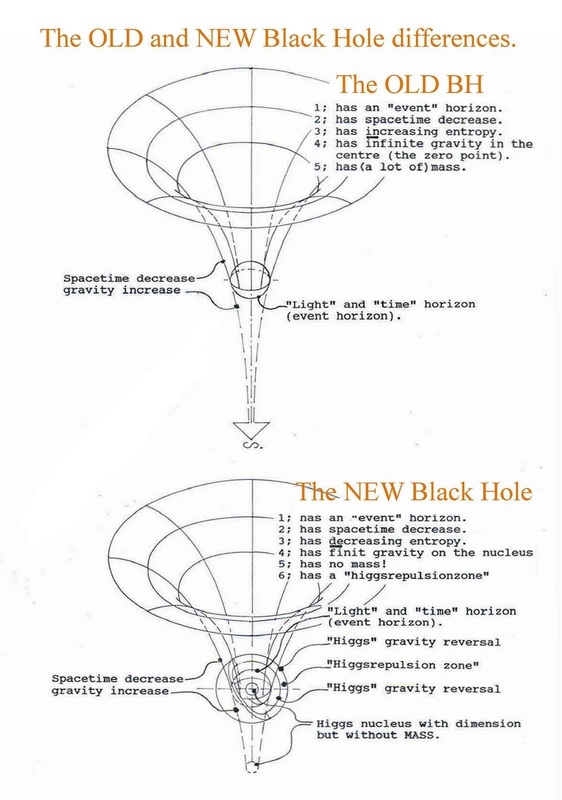 Is Mira a black hole and accelerated by a large scale one-sided Casimir ( black hole) effect? 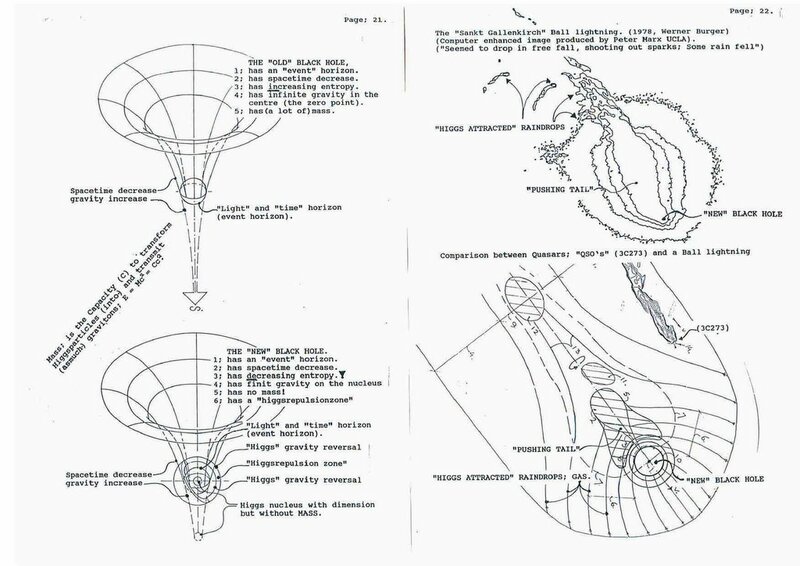 The recent discovered particle- Tail and bow shock of Mira, is very interesting because Mira is ploughing through the resistance of its own particle bow shock of hot gas. (see photo). 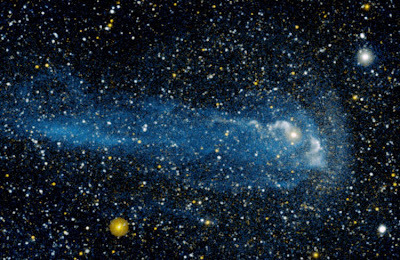 It is assumed that the "star" can only be able to plough through its particle bow- for all these years- by an extra force. 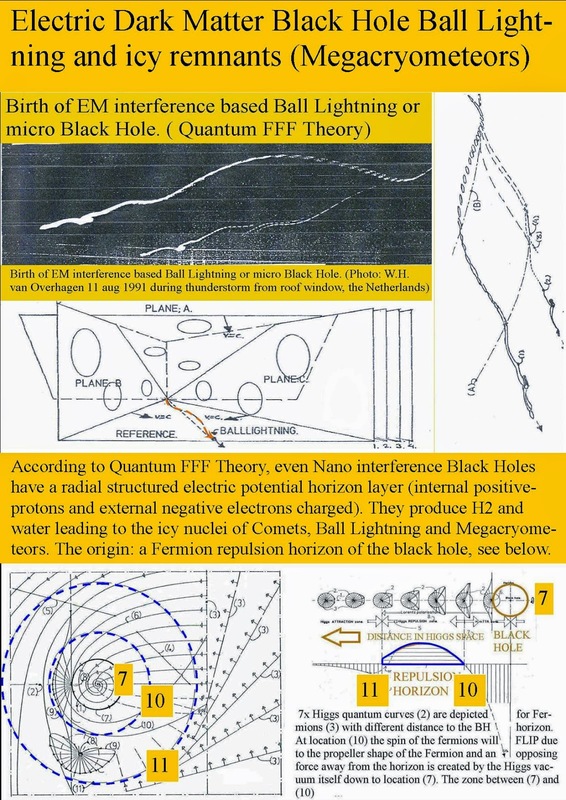 This could be a so called large scaleCasimir force, as described below. As a consequence, Mira is not a star but a "NEW PHYSICS" Black Hole equipped with the thin shell of a fermion repelling horizon, forming a real fermion trap.This horizon shell is supposed to originate a large scale Casimir effect, by the push of the "tail" on the fermion repelling horizon. 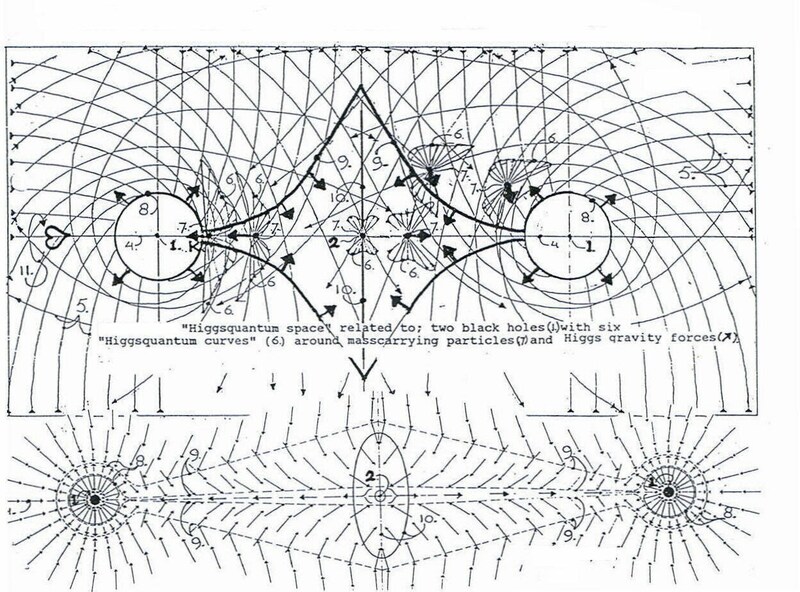 My suggestion for this one-sided ( or anti-symmetric) large scaleCasimir force, as the origin of the acceleration of Mira, is not a so called violation of the second law of thermodynamics, if Mira is a black hole. 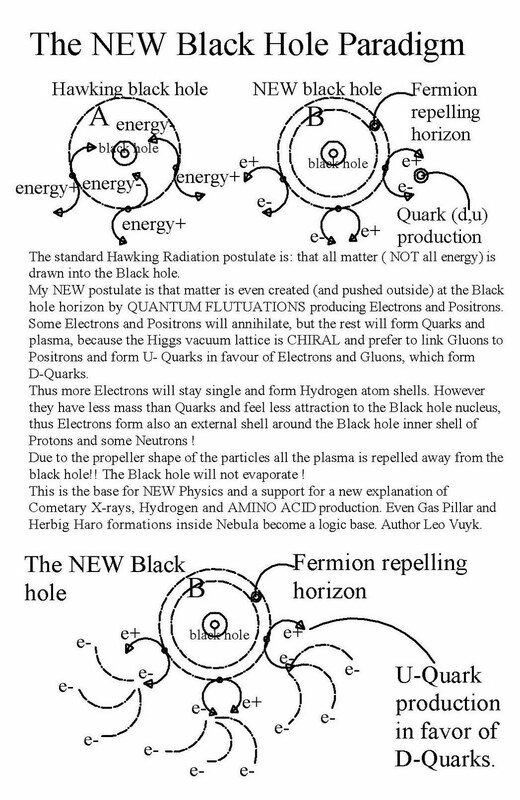 It is well known that there is still discussion on the question about the increase of entropy around or inside a black hole. Secondly, if the vacuum oscillations as the origin of the Casimirforce represent the so called "dark energy", then Mira and all other black holes are not "isolated systems", they could be seen as connected with this dark energy all over the universe. Evidence for the existence of Solar polar electron jets, an indication for a double set of Solar Anchor Black Holes. The NEW migrating energy lensing Black hole. However, this gas shell will not be stable in thickness because of possible massive attractors like stars in the neighbourhood, this will be the propeller system of the migrating Black hole. Since this PROPELLER force is generated by the vacuum itself, we may call this effect : a LARGE SCALE ONE- SIDED CASIMIR EFFECT. 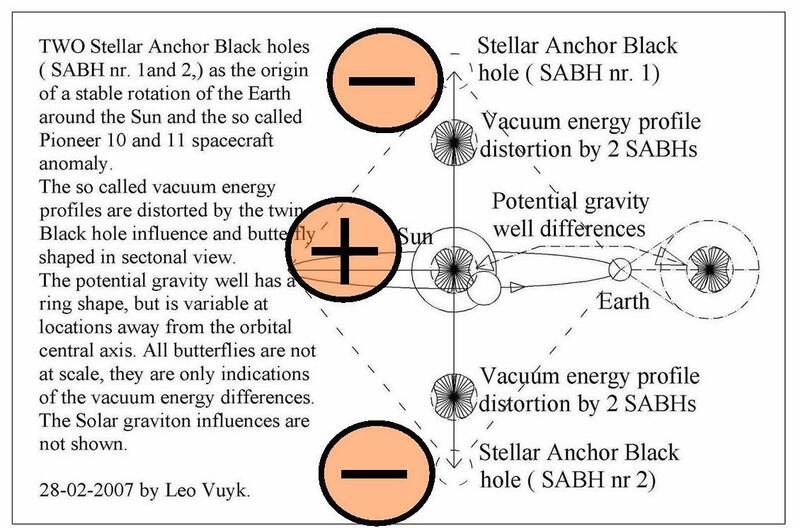 As an example, if a massive star of a binary system explodes and forms a black hole, then it is proposed (counter intuitive) that the black hole will migrate away from its partner. 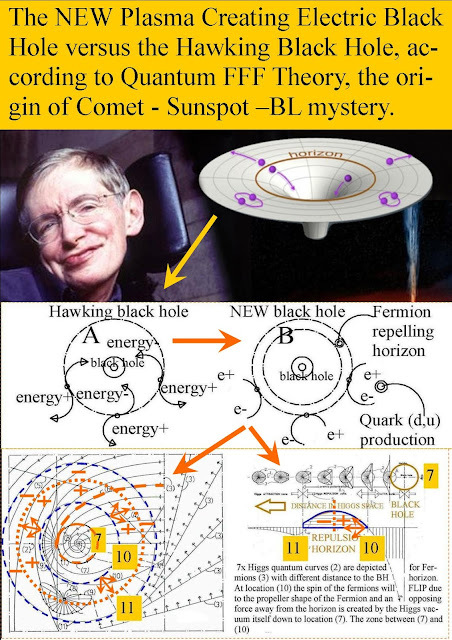 As a result, there will not exist combined binary systems like Pulsars, with a black hole as one of the partners. 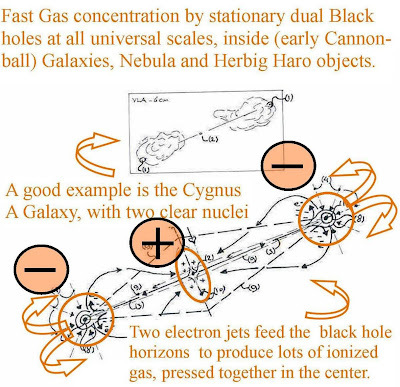 If such a migrating black hole meets a partner, the masses of both gas tails will come into play. 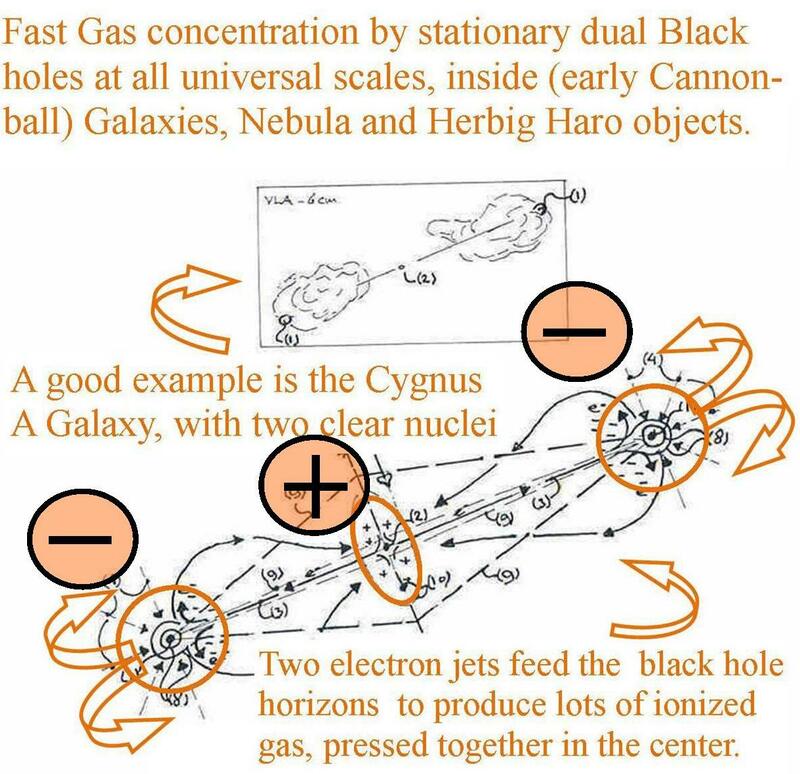 If the gravitational effect between these tails is large enough, then it is expected that these tails will all of a sudden SWING around and form a gas BAR in between the two Black holes. It is supposed that these bars are sometimes still visible in Spiral Galaxies. 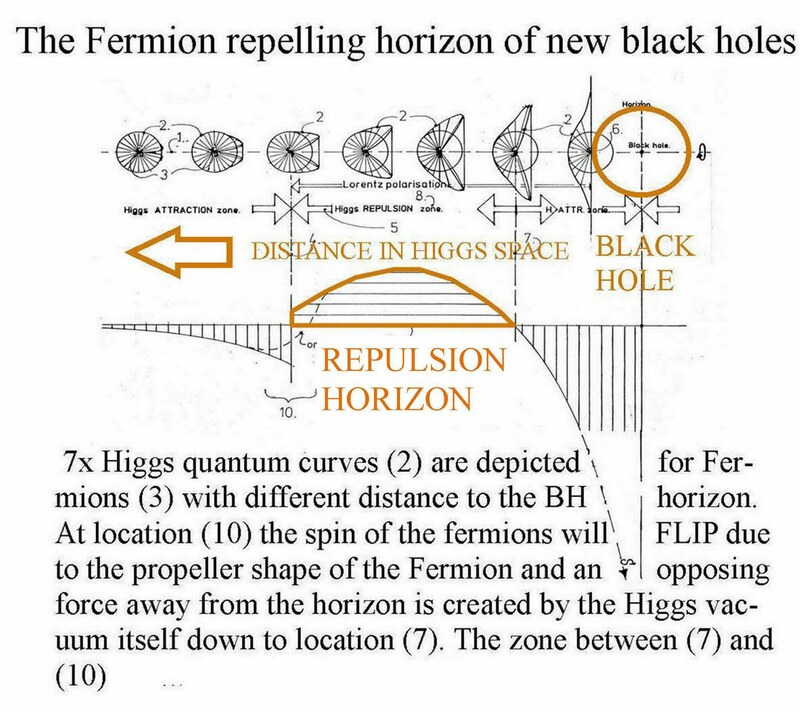 Fermion repelling horizon of NEW black holes is the origin of new Cosmological effects like icy Comet nucleus formation and nuclear abandoning.